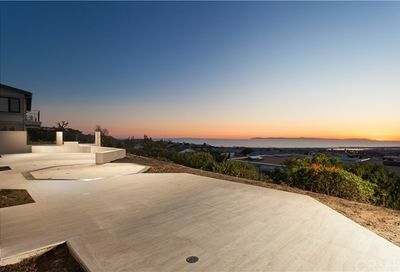 Learn all there is to know about the Real Estate market by a Top Newport Beach Realtor, Sharon Paxson is with Compass. 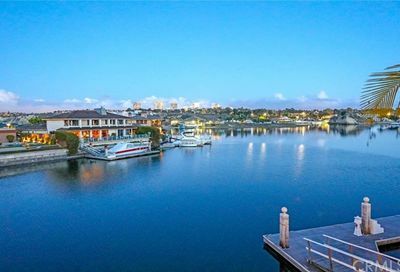 If you are a buyer and want to explore Newport Beach and specifically Newport Beach Real Estate, please get in touch as I have been selling here since 2005 and I know first hand what a great community Newport has to offer as I am a long-term resident of Newport Beach, California. There are very few Newport Beach Real Estate agents that have the track record and knowledge of the area. 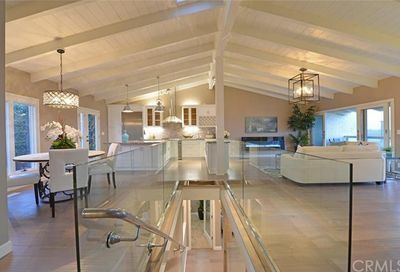 If you are considering selling your home in Newport Beach, I welcome the opportunity to demonstrate to you our marketing plan and how I will obtain top dollar in the shortest time frame. 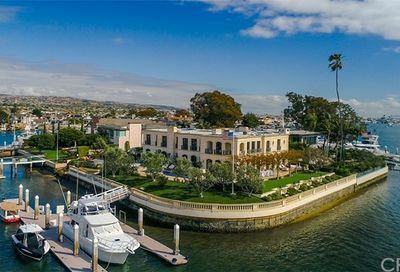 The city of Newport Beach is one of Southern California’s most desirable communities to call home and is located along the Coast in Orange County, CA. 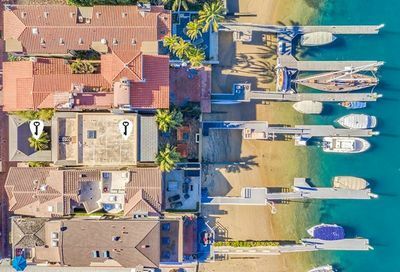 If you’re in the market to buy real estate in Newport Beach CA you will find a number of residential options to choose from. Whether you’re looking for an oceanfront home, an oceanfront condo, a property with a view, luxury homes, gated community homes, or an equestrian property, luxury estate home, single family home, or condo as a Newport Beach CA Realtor I can help you find exactly what you’re looking for! 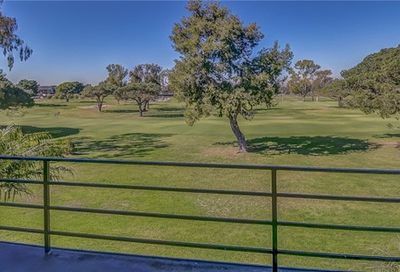 There is one 55+ community located in the Corona del Mar area which is called the Terraces. 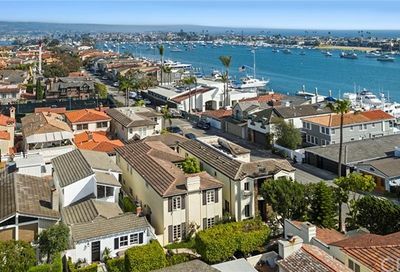 Corona del Mar is a highly sought after area, and people move to the area for the location and the walkability. It is very easy to walk to the Village of Corona del Mar and enjoy morning coffee, upscale dining, and shopping. Additionally, it is a very easy walk to the beach in Corona del Mar. Residents and visitors can access the beach in Corona del Mar over the Goldenrod Footbridge. The Goldenrod Footbridge was built in 1928 for $10,884 and spans 243 feet across what was known as the “Pacific Gulch”. It was built to provide access to the beach for residents and visitors. At the time of the construction of this bridge, the population was less than 2000 people. The Goldenrod Footbridge crosses over Bayside Drive. The Village of Corona del Mar is located along Coast Highway and runs along the flower streets. It is a very desirable area and features events throughout the year including the annual Christmas walk which is generally in early December. Newport Beach began evolving in the late 1800’s when Captain Dunnels piloted the Vaquero into Newport Bay originally in 1870. The shipping industry began with The McFadden brothers when they brought in supplies from other parts of California and shipped them out. Because the original entrance to Newport Harbor was very treacherous, James McFadden built a wharf for steamers so they were able to dock. In 1902, James McFadden sold his Newport property and about half of the Peninsula to William S. Collins who was originally from Pasadena, CA. Collins saw the Newport Bay potential of the area. Collins began working with Henry E. Huntington as a partner in the Newport Beach Company. In 1916, Balboa Island had been annexed to the city of Newport Beach. Collins, California began dredging a channel on the north side of Newport Bay and deposited the sand on the tidelands that would eventually become Balboa Island in 1908. During this same time period, there were lots that were being offered for sale in the amounts of $350.00 to $750.00. Of course, the highest price lots were the bayfront and waterfront properties. However, even though these lots were being advertised, many of the original lots were sold for as little as $25.00. Balboa Island in Newport Beach was considered a place to go for vacations in the summer. 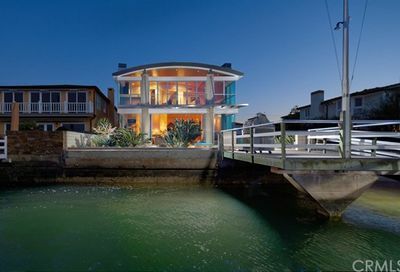 Many of the Balboa Island homes did not have heaters, so these homes were more commonly used during the summer months. Often times these homes were closed up during the winter. Joe Beek was part of the initial development of Balboa Island. In 1919, Joe Beek obtained the initial contract for a ferry between Balboa Island and Balboa Peninsula. The first car that was transported on the Balboa Island Ferry was in 1920. Beeks original ferry boat was called the Joker, and the initial capacity was for two automobiles. The Balboa Island ferry is still in existence and there currently are three 64 foot ferries, that have the capacity to carry three automobiles, bicyclists, and pedestrians. The hours of operation for the ferry are 6:30 a.m. until 12:00 a.m. on Sundays, Mondays, Tuesdays, Wednesdays, and Thursdays. On Fridays and Saturdays, hours of operation are from 6:30 a.m. until 2:00 a.m. The ferry drivers are very skilled particularly during the summer months when Newport Harbor can be incredibly busy with the Newport Harbor boat traffic and frequent sailboat races. It is a charming way to travel from the Peninsula to Balboa Island and enjoy the beauty of the Newport Harbor on the brief journey. Another piece of interesting history was in 1908 was that an Italian gondolier John Scarpa organized the first lighted boat parade in Newport Harbor. This started the yearly tradition which continues every annually. This tradition carries on as of today and visitors and tourists start way in advance making reservations at restaurants in order to view this incredible boat parade. The parade is called the Newport Beach Boat Parade and Ring of Lights, and there is judging each year for the best-decorated boat/yacht and the homes on Balboa Island also decorate which is also judged. As of 2016, the population of Newport Beach was over 86,000 people according to the U.S. Census Bureau. Newport Beach is a destination city and many tourists will visit Newport Beach during the prime summer months to enjoy the beach lifestyle. 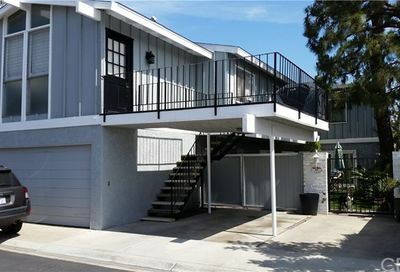 There are many investment properties in Newport Beach, especially in popular locations such as the Balboa Peninsula, and these properties will be offered for weekly rental for tourists. 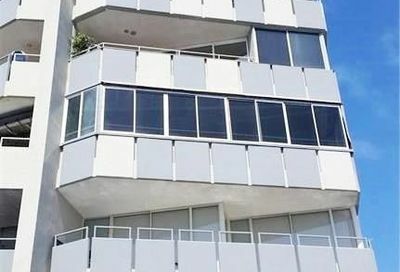 The City of Newport Beach does require that these homes adhere to specific guidelines in order to allow weekly rentals. The most popular months for weekly rentals begin in June and go through September. Often times, the homes which are utilized as weekly rentals will then offer the homes for lease for a 9 month rental for the offseason. Located along the Coast of Orange County, CA Newport Beach has a total land area of 23.8 square miles of land, total water area of 29.2 square miles, with a total area of 53 square miles. The elevation of Newport Beach extends from sea level to the 1161 feet which are at the summit of Signal Peak in the San Joaquin Hills. The city is bordered on the east by Crystal Cove State Park which is a California State Park, on the west by Huntington Beach at the Santa Ana River Jetty, and on the north by Costa Mesa. 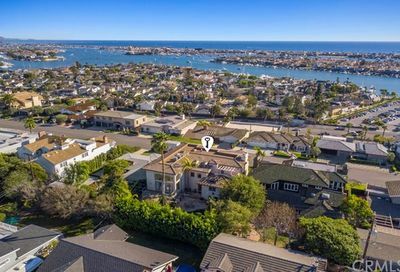 The areas of Newport Beach include Corona del Mar, Balboa Island, Balboa Peninsula (also known as Balboa), Lido Peninsula, Newport Coast, San Joaquin Hills, and Santa Ana Heights, and West Newport. 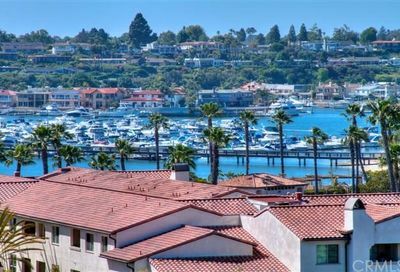 Although the areas of Corona del Mar and Newport Coast have their own zip codes, they are still considered to be part of Newport Beach, and they are serviced by the City of Newport Beach including the Newport Beach Police Department, the Newport Beach Fire Department and other services. The zip codes that are included in the City of Newport Beach include 92661, 92662, 92663, 92625, and 92657. The weather in Newport Beach is very temperate and many people move to this location because of the climate. The hottest months in Newport Beach are August, September, and October with an average temperature in the low 80’s. However, it can get hotter during those months. 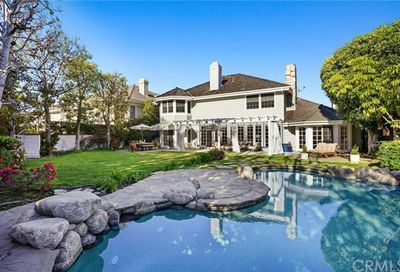 It is not uncommon for homes in Newport Beach to not have air conditioning and that always seems to surprise some people moving to the area. The prevailing breeze is from the ocean and it generally keeps it fairly cool. During the winter months, the temperature can get down in the 40’s. In May and June, the onshore flow can keep it fairly cloudy, and often times it can be referred to as May gray, or June gloom, but the fog and overcast will eventually burn off. Hoag Memorial Hospital is one of the largest employers in Newport Beach and Hoag is ranked nationally in 4 adult specialties and high-performing in 3 adult specialties. Hoag Memorial Hospital Presbyterian is a 457-bed general medical and surgical facility. Hoag is also affiliated with Keck USC for their oncology program. Other businesses in Newport Beach include the Irvine Company, Urban Decay cosmetics, PIMCO and Newport Mesa Unified School District. Fletcher Jones Motor Cars in Newport Beach is the largest Mercedes-Benz dealership in the world. Compared to other census places, Newport Beach, CA has an unusually high number of Real Estate, Rental & Leasing businesses. The Newport Mesa Unified School District offers some of the best public schools. In Newport Beach, the Newport Mesa Unified School District currently has 8 elementary schools, 2 middle schools and 2 high schools most of which have a rating of 10. Newport Beach, California has pristine California beaches with approximately ten miles of coastline which the residents and visitors enjoy swimming, running, walking, biking and surfing. Many visit Newport Beach annually and enjoy the beach, the piers, the boardwalk and of course the ocean. The boardwalk in Newport Beach begins at 36th Street and runs all the way down to E Street near the Balboa Pier. The beaches and piers are open to the public from the hours of 6:00 a.m. until 10:00 p.m. This includes the beaches from the Santa Ana River Jetty which is in West Newport Beach to Crystal Cove Park. Crystal Cove Park beaches close at sunset. There are two piers in Newport Beach and both piers and they are located on the Balboa Peninsula. The pier areas have businesses and restaurants located near them. Many residents who reside in Newport Beach either walk on the boardwalk or ride their bikes to local restaurants in the area. Skateboards are not permitted on the boardwalk. The Newport Beach Lifeguard Headquarters is located at the base of the Newport Beach Pier. There is a public metered parking lot located at the base of the Newport Pier and there is metered parking near the Balboa Pier. However, these fill up quickly during summer months, so best to arrive early. Sometimes there is parking available in local neighborhoods where you can park for free. When you are visiting Newport Beach, be sure to check with lifeguards about water conditions, rip currents and waves. And when swimming, make sure to swim near a Lifeguard Tower. During the winter months, there are generally no lifeguards at the towers. The Wedge in Newport Beach is located at the end of Peninsula Point at Channel Place and is always a great place to visit. A word of caution, the Wedge is for experienced surfers, swimmers, and bodyboarders. The waves at the Wedge can be monstrous depending on the direction of the swell. There is public parking near the Wedge and it is residential in the area. Popular surfing spots include the River Jetty, 56th Street, Blackies which is located by the Newport Beach Pier. There are often schools who will teach surfing if you have not done it, and I can attest it is an excellent workout, but incredibly peaceful. Keep in mind all city beaches and parks are no smoking! Smoking is prohibited within 100 feet of city parks, park facilities, and beaches. A couple of other considerations are that dogs are not allowed at the beach between the hours of the hours of 10 a.m. and 4:30 p.m. Off-leash dogs are never allowed in Newport Beach (unless it is a dog park). And there is no alcohol consumption allowed on the beach. Newport Beach offers programs for ALL AGES! There are fantastic programs such as the Surf Camp which is a weekly camp for youth designed to teach the students how to surf. The Junior Lifeguard program is a fantastic program offered for kids who are at least 9 years of age and there are four divisions based on age. The children are required to pass a swim test and a test to tread water for three minutes. These tests are held in February, so it is important to have the children prepare so they can pass the test. The Junior Lifeguard program is a summer program and those who passed the swim test and met the requirements are eligible to participate. I cannot recommend it enough, as the participants learn sun safety, water safety, and get in great condition as a result of this program. It is run by the Newport Beach Lifeguard Department. Newport Beach offers many places of worship throughout the community and surrounding communities. Fashion Island is located at 401 Newport Center Dr, Newport Beach, CA 92660. Fashion Island is a gorgeous outdoor mall and there are ocean views from certain locations. Many of the stores in Fashion Island include Nordstrom, Bloomingdale’s, Neiman Marcus, the Apple Store, Louis Vuitton and over 200 specialty stores located on the coast. Fashion Island features upscale dining at many restaurants including the Red O, Fig and Olive and the Great Maple. There is a theater called The Lot coming in Spring of 2018 which will have a cinema, restaurant, bar and a cafe. Fashion Island has their annual Christmas Tree lighting which attracts many visitors and it kicks off the holiday season. The tree lighting is generally done before the Thanksgiving holiday. Lido Marina Village has recently been completely re-done and it is charming. Featuring stores such as Elyse, Charlie & Me, and upscale dining including Nobu for fabulous sushi with an incredible bayside view. Newport Beach Real Estate | Why choose a Top Realtor in Newport Beach, CA? 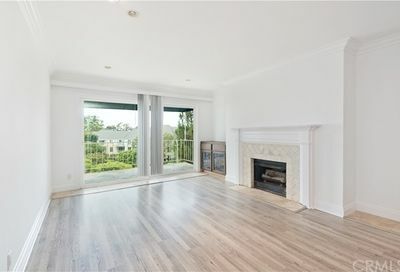 If you are considering selling your single family home, condo, investment property or other Newport Beach real estate, allow me to guide you through the entire selling process from start to finish. When interviewing the best Newport Beach Realtor® there are many things that should be taken into consideration, such as past track record of success, marketing strategy, availability and communication skills. While putting a SOLD sign on your property is my #1 goal, I also want to make sure selling your home is a smooth and stress-free process for you. I welcome the opportunity to discuss why I am a well-respected Realtor servicing the Newport Beach area. There are no other Realtors in Newport Beach, CA who are providing the level of online exposure through social media integration or SEO (search engine optimized) results. If you are planning on selling your home, marketing it on the internet is one of my specialties. Not many Realtors are able to make your home seem like it’s “featured” everywhere and when over 90% of buyers find their new home online it’s imperative your home is showcased. It is imperative that you partner with a Realtor that puts your home front and center. 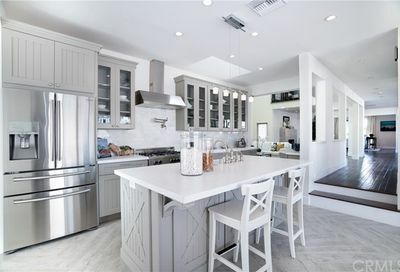 Your home will be found in all of the top places online where most buyers are searching for Newport Beach homes for sale, including this website, which is highly indexed by Google and other search engines including Bing, Yahoo, and Duck Duck Go. The idea of exceptional real estate marketing does not end with listing it in the MLS (Multiple Listing Service) and allowing it to syndicate to other 3rd party sites. I make sure to cover all aspects of online marketing, including websites like Facebook, Google Plus, Linkedin, Pinterest and Twitter to name a few. Additional efforts that help my client’s homes stand out include professional photography with individual staged photos.  Each photo includes a detailed description pointing out all the highlights that your home has to offer. Additionally, each listing has a custom video made of the property along with a community video to showcase the community, these videos are published on YouTube. 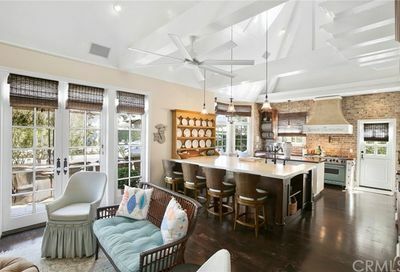 If you are in the market to buy a home you will find a number of residential options to choose from in Newport Beach that should match your lifestyle and budget needs. 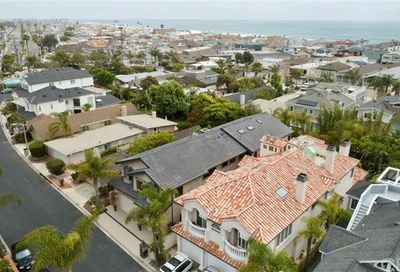 Whether you’re looking to purchase a single family home a condo, an oceanfront home, an equestrian horse property in Newport Beach CA, or sell your Newport Beach home, let me be your guide to the real estate market as a top Newport Beach CA real estate agent. Raised two daughters here in Newport Beach, my eldest is a Police Officer, and my youngest is a Senior at the University of Oregon Majoring in Accounting. All data in this post is deemed accurate but not guaranteed.